Hi dear Steemiants, Here are some pictures that I shot a few days ago, I can not stand still looking at the camera stored in the bag. I went to tourism waterfall location, which is one of the tourism destinations in North Aceh. 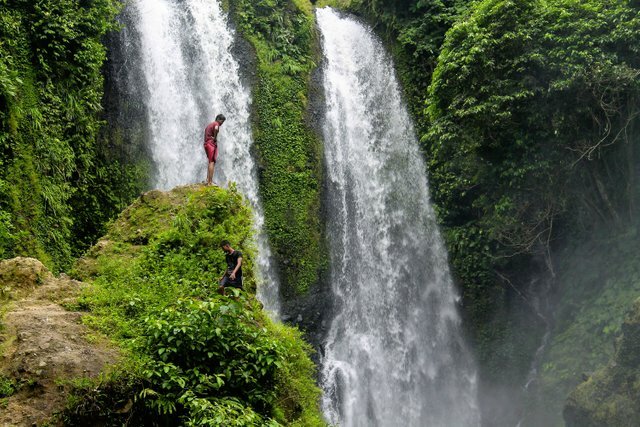 Waterfall "Blang Kolam" This is the name of this tourism destination. 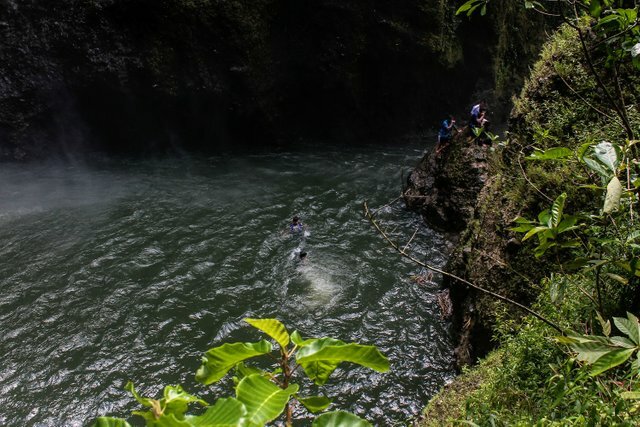 The water falls from a height of about 70 meters. 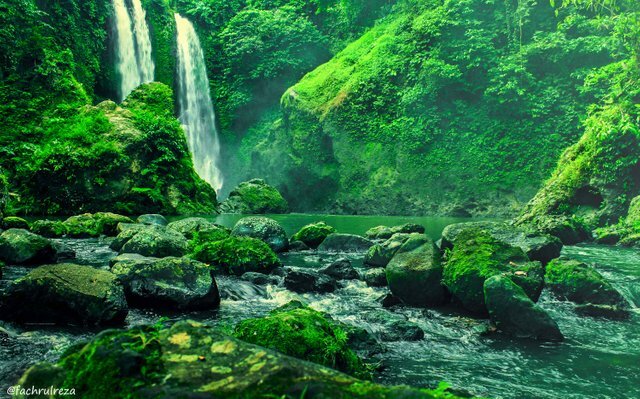 Location of this waterfall has a beautiful natural panorama. Large rocks are seen breaking water flowing from upstream to downstream. Dense trees make the view of this waterfall more amazing. Its location in the interior of North Aceh can be said of Aceh forest. 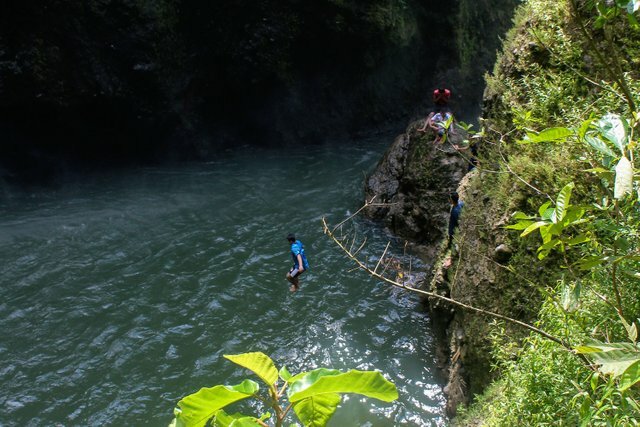 To get to this tourist destination is not difficult, and the route is quite easy to pass. Beauty makes us feel at home from many angles. Splashing water from high places makes the atmosphere cooler. Wow, how comfortable to be in this place. 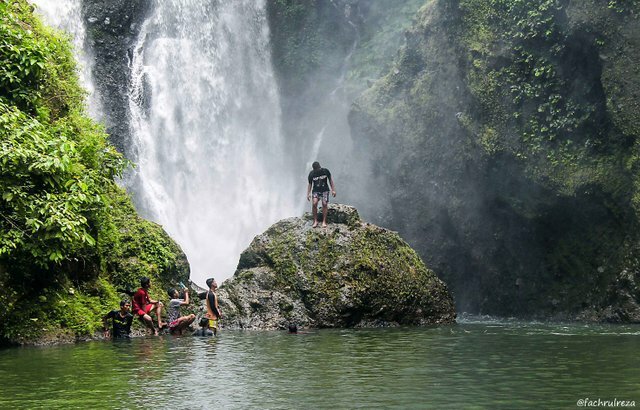 To get to the tourist destination Waterfall "Blang Kolam" better use motorcycles, because there is no public transportation to the area. As I said before, this is the hinterland of the north Aceh. Well, when you get there, it will be seen that the stairs are dull and start damaged by natural factors and the lack of attention of local authorities for this tourist destination. 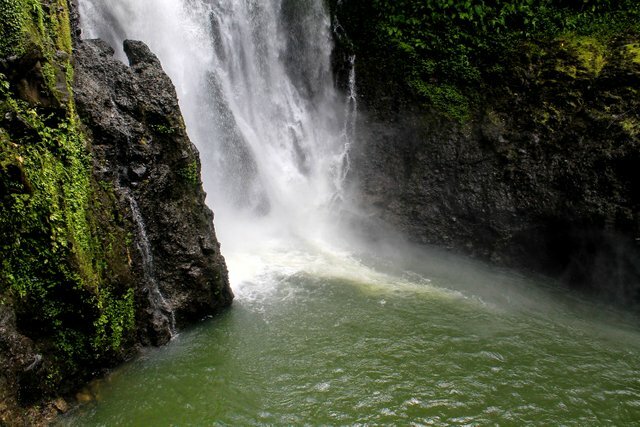 However, once we descend the eroded ladder you will see how amazing of the "Blang Kolam" waterfall is in Aceh. 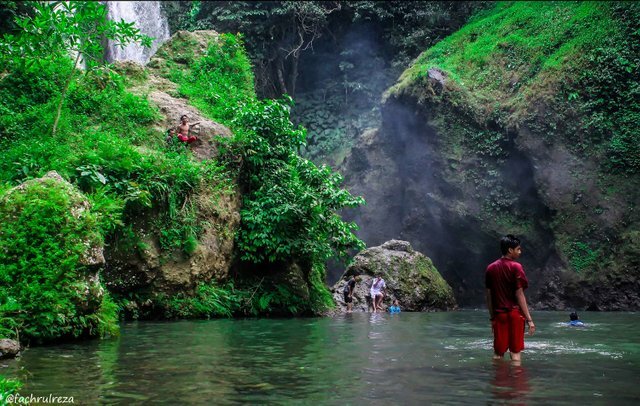 This is the purpose of "Blang Kolam" waterfall located in Sidomulyo Village, Kuta Makmur Subdistrict, North Aceh, Aceh, Indonesia. which has a million beauty that amazes you and stops talking and instantly shoots and captures nonstop with your camera. Aceh is the most western province in Indonesia. Aceh has tremendous tourism potential. Perhaps, this is a fraction of the many other more amazing tourist destinations in Aceh. 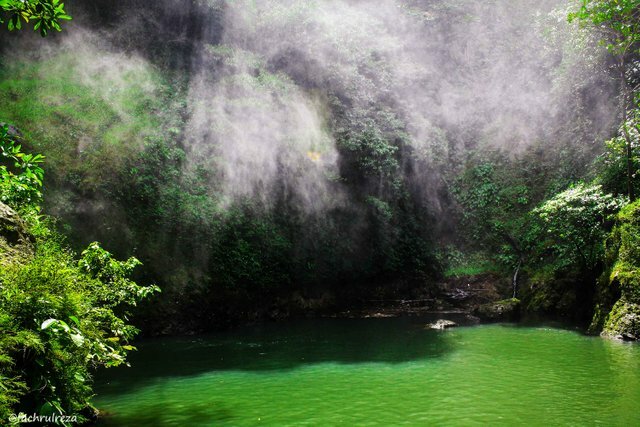 "Blang Kolam" waterfalls is a tourist destination that many tourists visit at the weekend. it's a tribute to me to keep working. thank you for appreciating my post. Pengambilan foto yang luar biasa.. saya suka foto “blang kolam”. Mrlalui steemit ini saya coba untuk mengasah cara memotret yg baik, smoga bung @fakrulreza bisa terus menampilkan foto-foto terbaik untuk saya pelajari disetiap post berikutnya. Salam steemit. Senang jika anda menyukai karya saya. This post has received gratitude of 0.64 % from @appreciator thanks to: @fachrulreza. Yes, of course. Very awesome to visit.